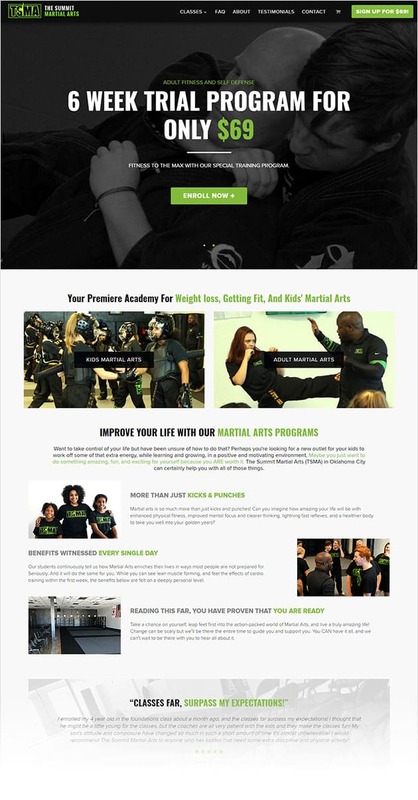 Coach Jackson has been training in martial arts for over 20 years. His passion for the sport lead him open The Summit Martial Arts studio where he teaches life-changing skills for children and adults alike. 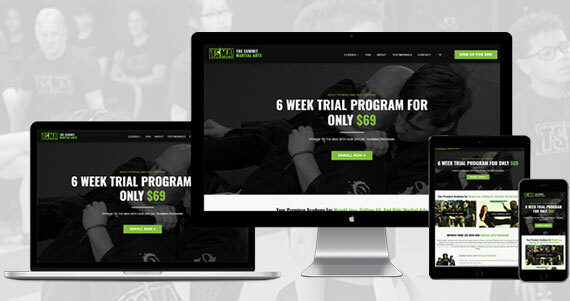 Coach Jackson wanted a unique website that was not a "cookie cutter" and one that delivered his personal message to the community. Coach Jackson wanted to show his school, his students and his programs. No stock art, fluff graphics, or false advertising. He wanted a site that depicted his studio, his students and most of all the programs that he offers to Oklahoma City. AnoLogix created a responsive WordPress website that can be easily updated. The site is easy to navigate allowing potential customers to quickly find the information they need, find class schedules and sign up for "specials". We developed a customized, mobile-friendly website, using WordPress as the content management system platform and set up a future Woocommerce as the eCommerce tool for in-store items to be sold online. We continue to work with TSMA on lead generation, automated e-mail campaigns, ongoing website improvements, and online marketing strategies.